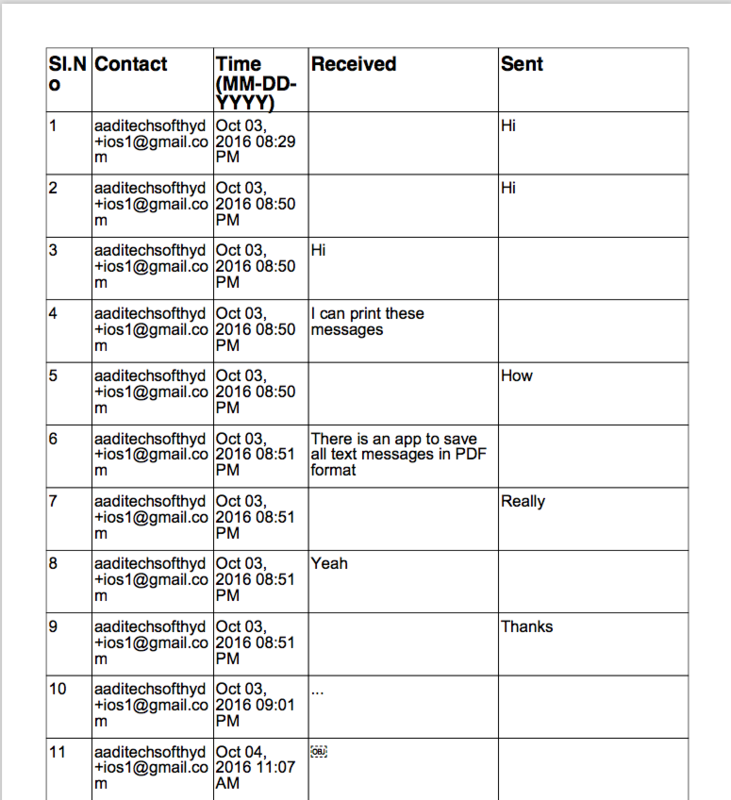 If you are trying to print text messages or iMessages on your iPhone or iPad and present them as evidence for a court case/trial or some other legal matter then remember printouts, photos or screenshots of these messages should include both time and date stamps and they should clearly link these text messages to the sender or texter. 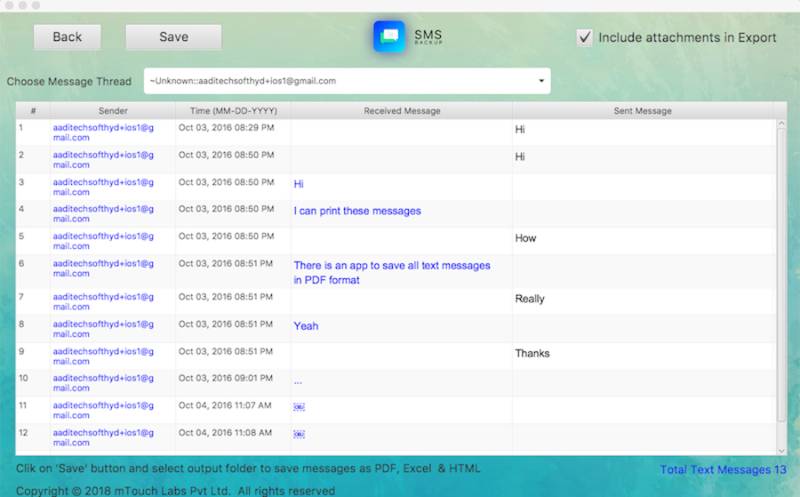 But if you have lots of messages, then the best option to Print them is to use tool like iPhone SMS Backup. 4. From the below screen choose the contact from where messages needs to be printed. Choose “All” incase all messages required. 6. Open PDF file. It should be like below one. Contact Name and Date time stamp clearly mentioned. Press Ctrl+P on your keyboard to print these messages.